Today is a national holiday in Japan – Respect for the Aged Day – so no school. Score! But, it’s also the day that a typhoon, number 18 of the season, has decided to wreak havoc over the island. Cue intermittent rain and gusty winds, delayed trains, or even lines that have stopped running. I decided I’d be better of keeping high and dry at home. And what’s a girl to do to while away the time when home alone? Her nails of course! 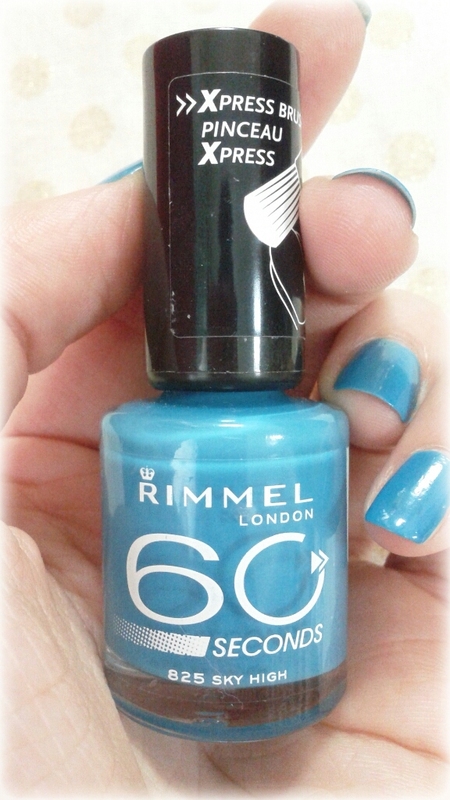 I took this opportunity to try out Rimmel’s #825 Sky High, a gorgeous teal colour, perfect for summer or typhoons, shiny and opaque in two coats. I’m loving the “Xpress Brush,” although it’s a bit hard to get used to after years of regular brushes – and I’m a bit out of practice. And I have no idea how it “Dries in less than 60 seconds,” but it is faster than most other brands I use, so I don’t mind. On the whole, a gorgeous, gorgeous colour that I will try to wear as much as possible while the humidity and heat linger in the September air. It’s still summer here as far as I’m concerned. 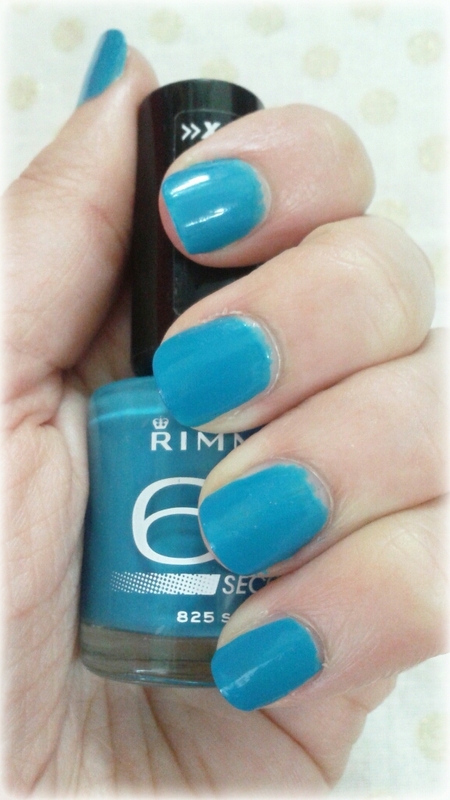 I bought Rimmel’s Sky High last week. It’s a beauty! 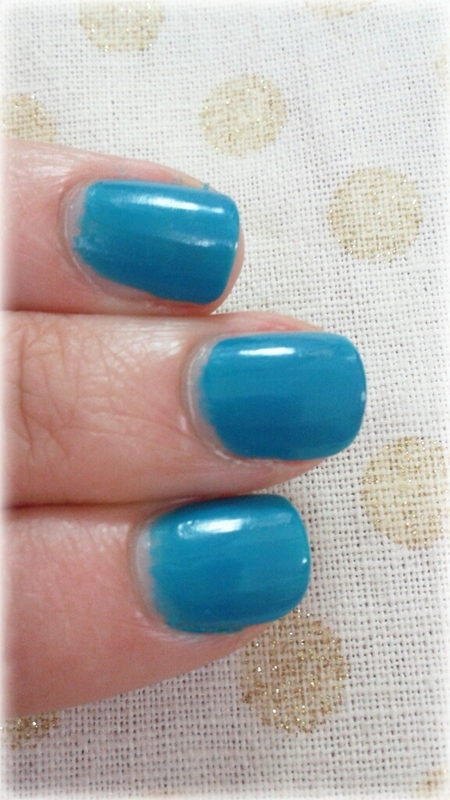 Gorgeous colour! Is the Express Brush the super big one? I hate them. No, really, I hate them. Insta Dri does them too. Yeah, true it helps with the streaking, but it took me a while to stop flooding my cuticles and painting half of my finger along with my nail and this brush just brings back bad memories 😛 So hard to avoid the cuticle line… They do have some great colours though.